I’m attending the ProZ.com virtual conference. I hope to meet my fellow translators there. Estoy asistiendo a la conferencia virtual de ProZ.com. Espero encontrar mis colegas traductores allá. Do you need a translation between Spanish and English? Request a free quote through the contact form or send me an email. ¿Requieres una traducción de español al inglés o de inglés al español? Pide una cotización gratis en la página de contacto o envíame un correo. I enjoy translating every day, but today is extra special. Disfruto traducir todos los días, pero hoy es aún más especial. Two days ago I returned to Colombia. Yay, back to coffee land! At Dunkin’ Donuts you get only the dunk, but Krispy Kreme hands out both donuts and coffee. At Peet’s the coffee is free only if you buy a bakery treat. Donuts, donuts, and more donuts. Oh, and some coffee, as an afterthought. Munching on an orb of sugar to make our coffee palatable is like ordering an X-accino so heavily doused in flavored syrup and whipped cream that the coffee taste is obliterated. 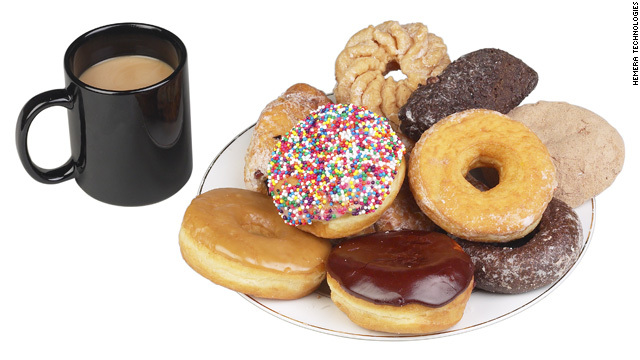 National Coffee Day might as well be called National Donut Day plus a Hot Beverage. In my absence, the oven has remained off, the flour untouched, and my husband has gotten accustomed to drinking coffee without sugar. I’m kinda a sugar fiend. I used our daily coffee times as an excuse for me to try out new recipes for cookies, bars, cakes, pies, and even one awfully oily batch of donuts. Starting today, on National Coffee Day, the day my fellow Americans drink their way through donuts, I will take the first step to undo my sugar addiction: I will learn to drink tinto (black coffee, no sugar) with no sweet on the side. I raise my mug to el Día del Tinto. With two crochet-covered seats and only one wheel, the bicycle looks a little funky. 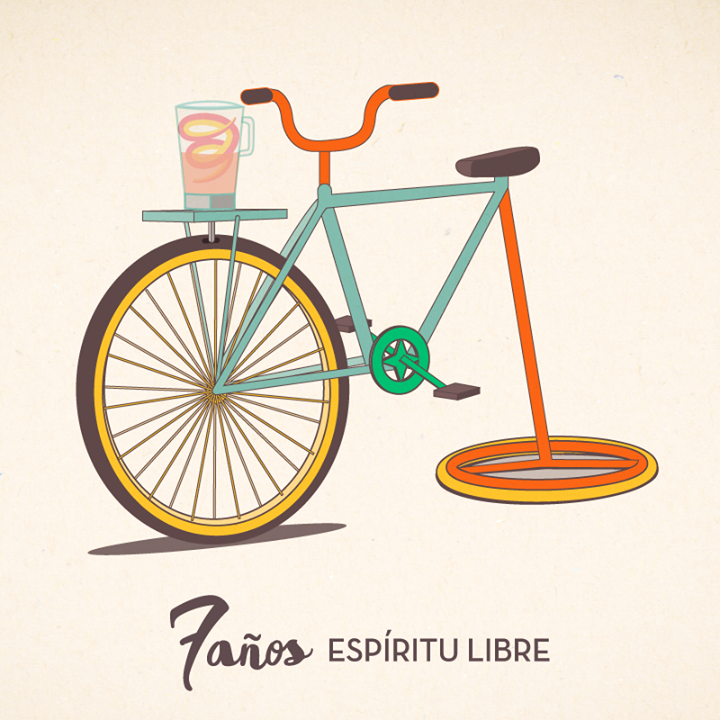 Between its citrus orange handlebars, real oranges whirl inside a blender. At this juice bar, you make your own juice. You’ll be even thirstier for your hand (foot) made natural fruit juice by the time it’s ready. Meet Dora la Bicilicuadora, the bicycle-powered blender. She’s parked outside Espíritu Libre, a vegetarian restaurant run by José Alejandro and Paula on a leafy avenue of the Belén Nogal (Carrera 76 #32E-32) neighborhood in MedellÍn, Colombia. Dora la Bicilicuadora is modeled after Maya Pedal, a Guatemalan NGO that builds “bicimaquinas” (pedal-powered machines) from refurbished donated bicycles. My husband Daniel Cifuentes helps train coffee growers to make their farms more sustainable. He invited José and Dora la Bicilicuadora to a training session on food security and they stole the show. Sustainability on wheels…where else can it take us? Colombian coffee farms hug the steep flanks of the Andes mountains. Coffee pickers sometimes get strapped into harnesses to reach trees that defy gravity. Colombian cyclists are a force to contend with, often taking the fore in Tour de France. Go up a mountain? Heck, that’s how I get to work every day. So it comes as no surprise that bicycles have been integrated into coffee growing and processing in Colombia. From bicilicuadora we go to bicidespulpadora: a bike hooked up to the pulping machine to strip away the fleshy pulp that encases the bean. For the next step of roasting the beans, Alex Roth hooks up an old Schwinn to a roasting drum. He pedals them to roasted perfection, then peddles them to clients around the Sacramento area. Alex is just one cool guy in California. Could we massify this? Especially where massive waistlines are an issue? Feel the burn! Feel the burn! Spinning classes could be set next to a roastery. Instructors would yell “feel the burn! feel the burn!” as every thigh burning push upped the temperature for that morning’s batch of beans. We’ve used a blender to grind our beans. How great would it be to kick start your day with an early morning workout to spin and grind your coffee? A calorie is the measurement of how much energy (heat) is required to raise the temperature of one gram of water one degree centigrade. What if our exercise routine could make water boil and thus brew our cup of coffee? It’d be a double boost: you get your exercise high and then the caffeine buzz. Stay tuned for less sweaty tips on how to get the warm feeling of helping the planet while cozying up with your next sustainable cup of coffee. Within the first 35 seconds of the trailer for HUMAN by Yann Arthus-Bertrand I was hooked. National Geographic meets Michael Moore with an Amelie meets Lords of the Ring soundtrack? Yes, yes. Spinning coffee table book shots of places on this planet we didn’t know existed. Mesmerized by the beauty of our earth that we treat so poorly. Staring into the eyes—black, brown, albino, blind—of strangers as they bare their souls. Captivated by their stories that touch each of us on some level. “HUMAN” asked: What makes us human? Why do we struggle against injustice, corruption, war, abuse, ignorance, poverty in our lives on this earth? The purpose of life is to create meaning, to make an impact, to touch others, to love. Translators brought meaning to these sentiments. We could all cry along with the speakers, thanks first to the tears of the translators as they worked through those choked-up words. As I sunk into the depths of the worry lines crisscrossing the faces of the mistreated and suffering narrators, I traced the same creases—of concentration, of compassion—on the face of the interpreter standing in the shadows next to the camera. Words of perseverance, tranquility, and love lit a sparkle in their eyes that reflected back onto our own joys. We were interwoven in this beautiful tangled spiderweb of human lives through the invisible, isolated translator. Translation made this film possible. It is a modern film, released in the age of computer assisted translations and internet giants like Google Translate. But it is HUMAN. Only another human can faithfully express those feelings that are sometimes so vast, so complex, so incomprehensible, that they’re beyond words. Yet there they are, in black and white subtitles. Machine translations are speedy but flawed. Human translators are painstakingly deliberate in their search for the precise nuance. Swept away by a churning rage against corrupt politicians, greedy corporations, violence and the military, my eyes were clouded with a film of tears through most of the film. Yet my editor’s eye remained sharp as ever. To be human is also to err. There were some fumbles even in different accents of English, like saying “hiding” instead of “hitting” in a domestic violence account. The only Spanish to English translation error I can’t get over is on minute 43 of the 3rd volume. A humble peasant is saying he works his small plot of land for food. “I have a small farm that gives me food” is translated into “my wife gives me food”. Huh? Accurate translations: to be the bridge for communications between Spanish and English and avoid misunderstandings. Organic agriculture: to derive our food directly from the land, no petrochemicals, scant processing, minimal transportation. Loving family: to love the wife (and/or husband) for giving food, to love the earth from which it came, to share this love and harvest with family, friends, neighbors. What was your takeaway from the movie? to make it such a potent potion. Inspired by this unassuming photo caption and propelled by this whacky writing prompt.